Home security system clearly means that, a process in which interworking components and devices are used to secure home from intruders and burglars. There is a central control panel which works together with integrated electronic devices to protect your home. Basically, home security systems help to secure main entry points like windows and doors. The whole system of home security works on the basic concept of securing the entry points of your home with sensors that are directly connected with control panel (primary controller) to give instant commands. Undoubtedly, the whole system is installed at an appropriate place somewhere in your home. With the help of home security system, you can professionally monitor the details of every second. Home security system is web-enabled device. Therefore, you can easily disarm or arm your home security system from anywhere in the world. With the installation of home security system, you can protect your valuable items from burglars and helpful in reducing the crime rates as well. After the installation of Home security system, it lowers your home insurance up to 20%. As we get to know about home security system and its numerous advantages. Now, here’s the list of best home security system companies which will let you know what’s happening at your home from afar. SimpliSafe is one of the favourite among users. It is a low-budget and wireless home security system which can be easily installed anywhere in your home. With the advanced technology, SimpliSafe is offering amazing home security system without any contract. Recently, they have added high-quality camera and innovative features to completely protect your home from potential intruders and burglars. It can be easily installed and relocated according to the requirement and makes it a great option for renters. SimpliSafe home security system is available at an affordable price and providing wonderful customer service. LiveWatch is a smart home security system with reliable equipments and cutting-edge technology. They are offering a touch screen control panel and application for Smartphone which are simply accessible. LiveWatch home security system includes best home security cameras, Z-wave devices, smart locks and other equipments to secure your home entirely. 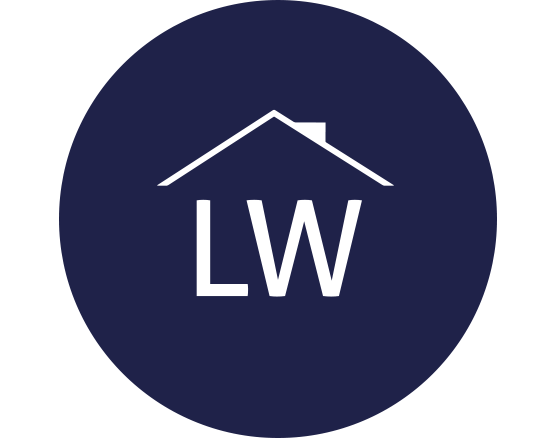 If you don’t like the home security system of LiveWatch after using it an year, then they are offering a money-back guarantee to its customers and no-termination fees. Therefore, it’s a great option which has amazing features and reduces the risk of false alarms as well. Abode is one of the best home security systems. After the installation of Abode security system, you can self-monitor your system easily from your Smartphone device. They are providing this self-monitoring service from the beginning and if we compare it with other home security companies, then they are taking extra or monthly charges for remote access. Hence, it’s cheap, reliable and easy to use without any issues or bugs. Scout is a modern home security system which allows you to monitor your home at cost-effective prices. This wonderful home security system is flexible in use because it’s a wireless and tool-free setup security system. Thus, both homeowners and renters can easily use this security system for their home protection from burglars and intruders. 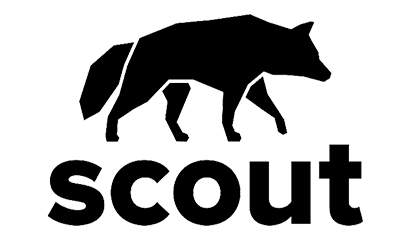 Scout provides one-year warranty for their security system and you can easily use this product because there’s no annual or monthly contract. Hence, Scout is offering secured monitoring without any installation or activation charges. Moreover, you’ll get a discount of 10% if you pay in advance for the whole year. Frontpoint home security system is known for their z-wave compatible technology and excellent customer service. They don’t pressurize you to purchase their product which is the most fascinating part of their sales approach. They are providing quick installation, 30 days money-back guarantee and crash and smash protection for your security system. Also, they are offering best home security cameras, video monitoring, window and door sensors to protect your home. The price of Frontpoint home security system depends on the features and services/packages you’re choosing. Therefore, to get superior customer service and advanced technology, then Frontpoint is a great product to get minute details instantly. Vivint is one of the game changer home security companies who is providing lifetime of warranty and advanced, easy-to-use technology. If you want to control your doors, windows, locks, lights and cameras through your Smartphone, then Vivint should be on the top of the list. The amazing part is that their brand has come-up with a unique and innovative idea of Doorbell camera. It’s energy-efficient equipment and offers two-way voice communication. But, in the beginning you have to pay the installation charges to the company. Thus, you can easily choose from the different packages to get premium services. ADT is highly-reputed and popular brand with multiple monitoring centers to serve their customers 24×7 either on phone or email. With 140 years of experience, ADT has excelled in their field and expanded their business with the motive to serve better. ADT is offering advanced features which will let you control all your windows, doors, locks, garage doors and so on from your Smartphone. ADT is little expensive as compared to other home security brands because of their services and features. Hence, ADT has maintained their track record of keeping home safe and secured. Link Interactive is a home security company which offers features such as professional monitoring 24×7, home automation, mobile access and alerts, crash and smash protection and great customer service. They also provide a wide variety of sensors, detectors, video surveillance and home automation control at competitive prices. Link Interactive is best for renters because there are different contracts available such as 12, 24 and 36 month contract option as per your requirement. Therefore, get transparent and upgraded home security equipment for your home. Protect America has lowest monitoring fees with the lifetime of equipment warranty. This top-notch brand is providing a wide variety of services and packages without any hassle. They have a dedicated professional team to address the problems and issues of their customers. Either it’s a landline, broadband or cellular; Protect America is offering monitoring services according to your requirements. Nest secure is a self-monitoring home security system. With an innovative and upgraded technology, Nest secure is packaging multiple features and functions in one such as motion detectors, window and door sensors and other features to secure your home from burglars and intruders. Their home security kit is little pricey, but it is worth the money especially when it’s all about your home. Lastly, there are several home security companies which are providing equipment to protect your home from thief’s and intruders. Currently, Footprint is the top-notch brand which stood out among the rest of the brands because of their advanced technology and comprehensive coverage at reasonable price.